Trisha Harrington's Blog: D.J. Taylor Guest Post. Today D.J. Taylor is here to talk about what inspired him to write his novel, The Goldfish and the Earthquake! It was I who slept through the earthquake. I was studying at the time, completing a degree in forensic biosciences, and had always been a heavy sleeper, the degree to which I didn’t find out until I woke the next morning. To reports on the radio, my girlfriend’s account of it and, as the day went on and I went through the daily grind, everyone else’s. It became increasingly clear that I had missed something momentous. Something I’d probably never experience again. The beginnings of a story started to form in my mind. But it would be years before I realised it. I had grown up in a small Yorkshire village, a place of agriculture if not nature, hamlets dotted in and around fields, corn and rapeseed as far as the eye could see during the summer and expanses of frozen mud during the winter. It was here that I met the best friend that I ever had. We had known each other as children, but at some point, the memory blurred now, he had moved away. His father started work in Saudi Arabia as an engineer on an oilrig, and took the family with him. They returned when I was on the threshold of teenhood, they rich enough to send my friend and their only son to a private school, but not so rich that it afforded them a grand-enough house as to flaunt their wealth. I, one of four children of a moderate-income household, was separated from my friend during school hours, attending a Roman Catholic state school. Like many teenagers, I went through life not aware of much of anything. But my friend was different. He’d already worked everything out, saw schooling for what it was, could see the progression of life at such a young age, his take on it bleak. When happy, he wouldn’t speak of his other life away from me and our friends. But sometimes, usually when we were alone, he would become pensive about the social structure at his school. Talk about being rejected by the ‘richer kids’, alienated by the poorer kids in the village. He hid it well, but I would realise in later years that he was deeply unhappy. We separated again when we reached adulthood, but unlike after his father’s working away, we wouldn’t be reunited this time, at least not as friends during a time of boundless freedom. I, academically successful, went away to university; he, destined to be unsuccessful by what he called a ‘dumb set of genes’, stayed in the same village. I started writing not long after university. I’d always enjoyed writing assignments, preferring those over studying for exams. I suppose going on to write stories filled the hole left when I finished my education, and went someway to relieving the mundanity of working life - he was right about that, at least. After many failed attempts, both short fiction and novels, I found my voice. Had sharpened the tools necessary to write an engaging work of fiction. During the process, I would send short fiction to my father, who, employing his well-meaning but ham-fisted diplomacy, gave tip-of-iceberg negative reviews at worst and criticised with faint praise at best. But one story he liked. A story I’d written about feuding half-brothers, one having slept through an earthquake. And so it was that I would turn this short story into a novel, fuelled by my father’s positive appraisal. The short story was a mere three thousand words, and needed fleshing out. The earthquake had to have a wider meaning, more than just the focal point of a brother’s teasing of his younger sibling. The characters needed to be elaborate. 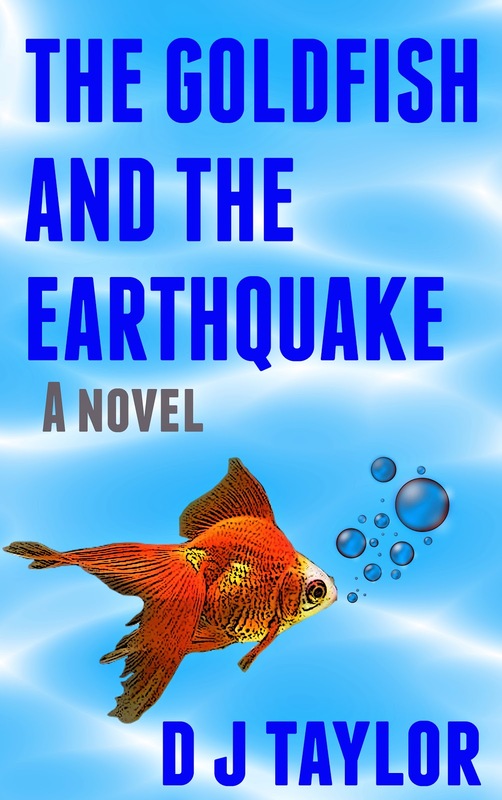 A complex narrative written that would have the earthquake as the centre of the story. I decided the novel would be about teenhood in the face of the economic crisis. About what my best friend would’ve thought going to school during a time when jobs were scarce – how his pessimism, shown to be pragmatism in later years, would have looked now. But I also wanted to stay true to the short story, and would, making it about brotherhood and what that meant, focussing on its darker side, especially when compared to friendship, with its indelible bonds formed between friends during this magical time. My friend doesn’t feature in The Goldfish and the Earthquake, but there are parts of him in a few characters, as there are parts of me. I met up with him nearly a decade after we’d moved apart, spoke to a man that still very much resembled the boy with whom I’d grown up, but a man to whom I couldn’t relate. One day I’ll send him the novel, and hope he’ll remember that time in our lives, before his pessimism had been made pragmatism and before I’d slept through an earthquake.